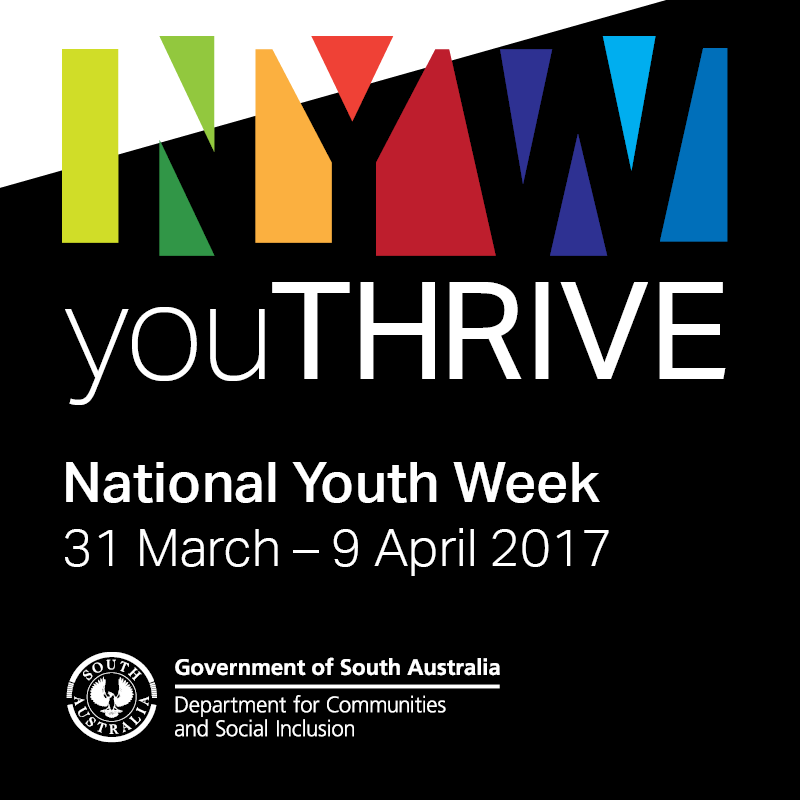 National Youth Week 2017 (31 March to 9 April) is a week of live music, sports events, exhibitions and a host of other activities especially for young people aged 12–25 years. It is the largest celebration of young people in Australia, and this year’s theme is ‘youTHRIVE’, with a focus on events around young people’s physical, mental, emotional and social wellbeing. Throughout the week, 39 organisations that work directly with young people have been hosting more than 60 events in both metropolitan and regional areas. The South Australian Young Member for 2017 is Jessica Perry. As official event ambassador and spokesperson, Jessica, 20, has been travelling to NYW events around the state. She is an award winning young entrepreneur, speaker and ambassador for multiple associations. She works with young people, entrepreneurs, service providers and employers wishing to attract and retain ‘Generation Z’ employees. “One of the best ways to engage with young people is through events designed by them,” Jessica said. “National Youth Week is a fantastic opportunity to recognise the contribution young people make to our communities, and recognise their achievements and unique skills, abilities, passions and talents.